NH NeuroSpine Institute welcomes Matthew Porter, PA-C to our Orthopaedic surgery team. 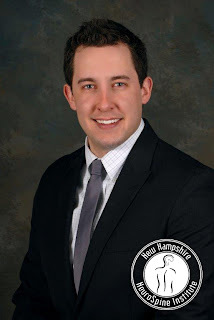 Matthew graduated from Massachusetts College of Pharmacy and Health Sciences in Manchester, NH. He is a certified physician assistant and is affiliated with the American Academy of Physician Assistants. “I am honored and excited to have joined a patient centered practice and team of highly skilled and well regarded surgeons and PAs, well trained and knowledgeable nursing staff, and dedicated and friendly ancillary staff,” says Matt about joining the NH NeuroSpine Institute team.